William B. ROGERS was born on 6 Jan 1875 in Rogersvile, Lauderdale, Alabama. He died on 13 Jul 1963 in San Angelo, Tom Green, Texas. He was buried in Wingate, Runnels, Texas. William married Martha Tabitha BURNS. Martha Tabitha BURNS [Parents] was born on 17 Dec 1874 in , Marshall, Alabama. She died on 7 Oct 1954 in , Tom Green, Texas. She was buried on 8 Oct 1954 in Wingate, Runnels, Texas. Martha married William B. ROGERS. Richard Van Buren ROGERS was born on 8 Jul 1896 in , , Alabama. ROGERS was born about 1898. ROGERS was born about 1900. F v Willie Iris ROGERS was born on 7 Sep 1909. She died on 25 Mar 2002. Miles Van Buren BURNS was born on 15 Nov 1833 in , , North Carolina. He died on 15 Aug 1889 in , De Kalb, Alabama. Miles married Martha Ann MANN in 1854 in , , Georgia. Martha Ann MANN was born on 13 Apr 1938 in , Meriwether, Georgia. She died on 13 Sep 1905 in , De Kalb, Alabama. Martha married Miles Van Buren BURNS in 1854 in , , Georgia. Tillman Jackson BURNS was born in Aug 1855 in , Carroll, Georgia. He died on 31 Mar 1936 in San Angelo, Tom Green, Texas. Robert Lee BURNS was born in Jan 1857 in , Carroll, Georgia. He died in 1921 in , De Kalb, Alabama. Nancy Elizabeth BURNS was born in Mar 1859 in , Carroll, Georgia. She died on 5 Sep 1947 in Attalia, Etowah, Alabama. M iv John Dobson BURNS was born on 19 Dec 1860. He died on 29 Nov 1907. M v Vinson Thaddeus BURNS was born on 5 Nov 1863. He died on 24 Jun 1939. Ocie BURNS was born in 1866 in Tallapoosa, Alabama. Ella Ann BURNS was born in 1870 in , , Alabama. She died in 1896. 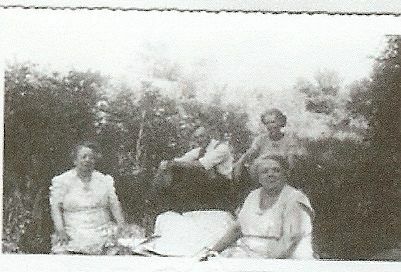 Lenora Annette BURNS was born in 1872 in , , Alabama. F ix Martha Tabitha BURNS was born on 17 Dec 1874. She died on 7 Oct 1954. F x Emma Alice BURNS was born on 19 Mar 1878. She died on 3 Jun 1956. David William LINKINHOKER [Parents] was born on 21 Feb 1891 in Springfield, Clark, Ohio. He died on 12 May 1934 in Springfield, Clark, Ohio. David married Iva Lou SMITH. Iva Lou SMITH was born on 3 Oct 1893 in Highland City, Highland, Ohio. She died on 29 Jan 1988 in Urbana, Champain, Ohio. Iva married David William LINKINHOKER. M i Arthur David LINKINHOKER was born on 21 Feb 1917. He died on 30 Oct 1009. M ii Wayne Gerald LINKINHOKER was born on 18 Aug 1919. He died on 19 Mar 1969. Norma LINKINHOKER was born in 1921. David James LINKINHOKER [Parents] was born in Dec 1860 in , , Virginia. He died on 10 Mar 1917 in , , Ohio. David married Catherine QUIRK in 1890. Catherine QUIRK [Parents] was born in Jan 1867 in Xenia, Greene, Ohio. She died on 27 Apr 1936 in Springfield, Clark, Ohio. Catherine married David James LINKINHOKER in 1890. M i William John LINKINHOKER was born on 1 Oct 1890. He died on 28 Dec 1962. David E. LINKINHOKER was born on 24 Mar 1894 in Springfield, Clark, Ohio. He died on 27 Jan 1919 in Springfield, Clark, Ohio. Olivier LINKINHOKER was born about 1896 in , , Ohio. M iv Aloysius P. LINKINHOKER was born on 21 Jun 1897. He died on 11 Nov 1961. Charles LINKINHOKER was born in Jan 1900 in , , Ohio. Carl E. LINKINHOKER was born on 23 Jan 1901 in Springfield, Clark, Ohio. He died on 11 Feb 1955 in Springfield, Clark, Ohio. Mary A. LINKINHOKER was born on 12 Dec 1902 in Springfield, Clark, Ohio. She died on 25 Mar 1983 in Springfield, Clark, Ohio. F viii Catherine V. LINKINHOKER was born on 30 Dec 1905. She died on 3 Aug 1994. Julius LINKINHOKER [Parents] was born in 1834 in , , Virginia. He died in Springfield, Clark, Ohio. Julius married Frances. Frances was born in 1832 in , , Virginia. She died in Springfield, Clark, Ohio. Frances married Julius LINKINHOKER. Elias LINKINHOKER was born on 27 Jan 1810 in Botetourt, Virginia. He died on 24 Jan 1879 in Botetourt, Virginia. Elias married Eliza Ann PEERY. Eliza Ann PEERY was born on 12 Mar 1815 in Botetourt, Virginia. She died on 12 Jun 1889 in Botetourt, Virginia. Eliza married Elias LINKINHOKER. M i Julius LINKINHOKER was born in 1834. Joseph H. HOLLINGSWORTH [Parents] was born on 25 Dec 1843 in Zanesville, Muskingum, Ohio. He died before 1894 in , , Ohio. Joseph married Sallie E. MC DERMOTT in 1868 in , Huntiungdon, Pennsylvania. Sallie E. MC DERMOTT was born on 20 Jul 1844 in , , Pennsylvania. She died on 17 Oct 1924 in Zanesville, Muskingum, Ohio. Sallie married Joseph H. HOLLINGSWORTH in 1868 in , Huntiungdon, Pennsylvania. F i Ida May HOLLINGSWORTH was born in 1870. She died on 11 Jun 1934. Jesse Sylvester HOLLINGSWORTH [Parents] was born on 14 Aug 1845 in Zanesville, Muskingum, Ohio. He died on 14 Sep 1910 in Zanesville, Muskingum, Ohio. Jesse married Constania MUSSELMAN on 4 Jun 1874 in Zanesville, Muskingum, Ohio. Constania MUSSELMAN [Parents] was born on 12 Jun 1843 in Zanesville, Muskingum, Ohio. She died on 29 May 1919 in Zanesville, Muskingum, Ohio. Constania married Jesse Sylvester HOLLINGSWORTH on 4 Jun 1874 in Zanesville, Muskingum, Ohio. F i Margaret Lulu HOLLINGSWORTH was born on 15 May 1875. She died on 30 Nov 1955. M ii Charles Frederick HOLLINGSWORTH "Sr" was born on 3 Mar 1878. He died on 7 Dec 1949. F iii Mary Florence HOLLINGSWORTH was born on 22 Aug 1881. She died on 11 Apr 1964. M iv Howard HOLLINGSWORTH was born on 1 Mar 1885. He died on 22 Feb 1960. 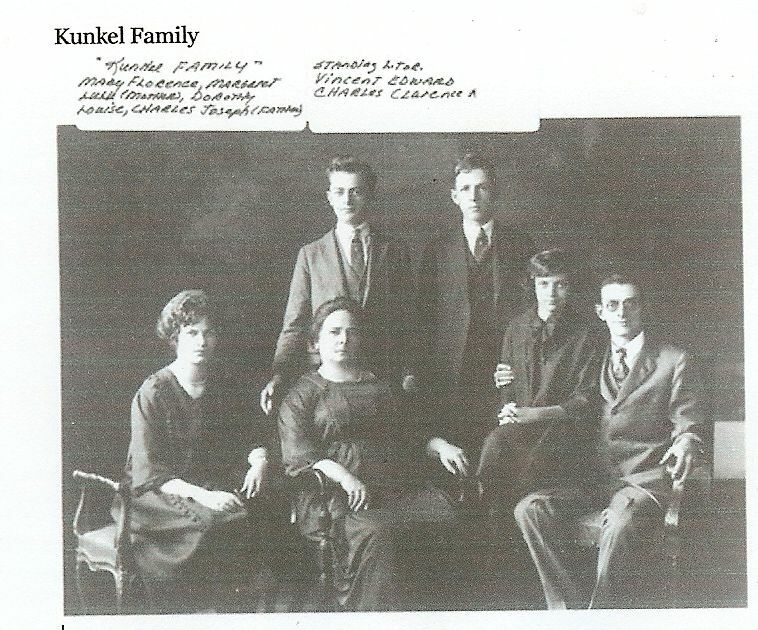 Charles Joseph KUNKEL [Parents] was born on 15 Dec 1877 in Dresden, Muskingum, Ohio. He died on 7 Jul 1940 in Detroit, Wayne, Michigan. He was buried in Holy Sepulchre Cemetery, Southfield, Wayne, Michigan. Charles married Margaret Lulu HOLLINGSWORTH on 17 Apr 1900 in Zanesville, Muskingum, Ohio. Margaret Lulu HOLLINGSWORTH [Parents] was born on 15 May 1875 in Zanesville, Muskingum, Ohio. She died on 30 Nov 1955 in Detroit, Wayne, Michigan. She was buried in Holy Sepulchre Cemetery, Southfield, Wayne, Michigan. 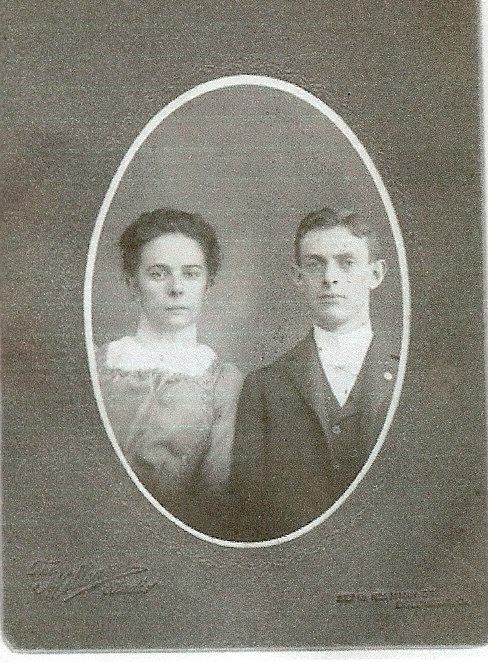 Margaret married Charles Joseph KUNKEL on 17 Apr 1900 in Zanesville, Muskingum, Ohio. F i Mary Florence KUNKEL was born on 9 Oct 1902. She died on 25 Oct 1992. M ii Charles Clarence KUNKEL was born on 26 Jul 1904. He died on 19 Jul 1992 from Congestive Heart Failure. M iii Vincent Edward KUNKEL was born on 4 Dec 1905. He died on 1 Apr 1964. F iv Dorothy Louise KUNKEL was born on 25 Feb 1910. She died on 21 Dec 1934. Frank Carlisle DIMOCK was born on 10 Feb 1904 in Windsor, Nova Scotia, Canada. He died on 3 Mar 1966 in Detroit, Waybe, Michigan. Frank married Mary Florence KUNKEL in Mar 1966 in , , Michigan. Mary Florence KUNKEL [Parents] was born on 9 Oct 1902 in Columbus, Franklin, Ohio. She died on 25 Oct 1992 in Livonia, Wayne, Michigan. Mary married Frank Carlisle DIMOCK in Mar 1966 in , , Michigan.